In stock. Order in the next 9 hours, 26 minutes and it will go out today! Constructing quality gimmicks demands quality tools. This Elastic Thread is a tough, durable, clear elastic thread that can handle almost any application. Each spool contains 656 feet (200 meters) of transparent, elastic thread. 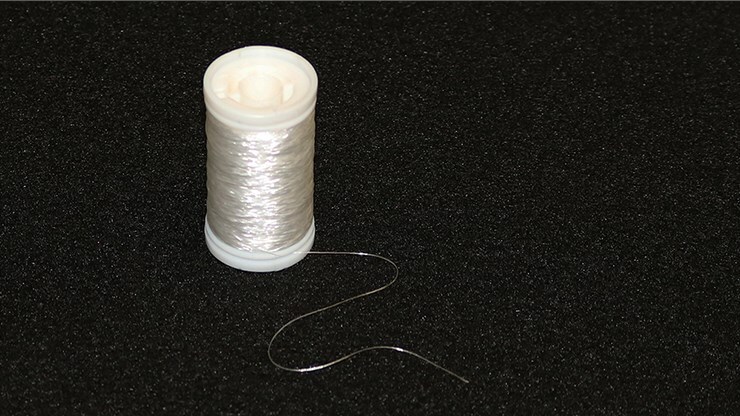 The thread has a high-tension strength, with a low-gloss finish that will keep your thread hidden when in use. No stripping required so you can start using it out of the box. If you are repairing a card gimmick or inventing a new trick, this is a must have accessory for your tool box.